CSIR has built a sizable patent portfolio. Currently CSIR holds portfolio (In force Patents) of about 3000 foreign patents and about 1500 Indian patents in the areas of Bio-informatics, leather, optical fiber, drugs and pharmaceuticals, biotechnology, nanotechnology, polymers, food products & processes, herbals and plant varieties. CSIR has been placed strategically on the world map by capturing significant share of total US patents granted to Indians. A glimpse of the most significant patent portfolios of CSIR have been provided below. These portfolios have led to the availability of cheaper products in India, generated secondary and tertiary employment, build the image of CSIR, created visibility to CSIR globally, threatened patentees and attracted oppositions and creating inventions that are strategically positioned in competitive and emerging areas. Many of the patents may not be economically valuable but they are technically important as they resulted in subsequent development by other inventors. The patents listed under each heading below are only illustrative and do not necessarily represent the complete portfolio of CSIR under that category. CSIR patented multistep organic synthesis in devising shorter and more efficient synthesis route to drugs and drug intermediates. Companies such as CIPLA, Ranbaxy, Reddy Laboratories, Lupin Laboratories, USV and many more have procured licenses for such patented drugs, giving rise eventually to the emergence of India as one of the largest players in the drug industry worldwide. India is now called “the Pharmacy of the World”, supplying affordable drugs not only to India and other emerging economies but even to the developed world. The crowning success of this effort was the development of patented HIV drugs secured by CSIR (beta thymidine for AZT; Zerit, Epivir, Ziagen), manufactured by CIPLA and delivered to deserving consumers in Africa at 10% of the price of equivalent drugs supplied by multinationals. In the 90,s two new drugs were patented and were introduced in the market namely, Centchroman a new post-coital antifertlity agent marketed by Hindustan Latex Ltd. under the trade name of 'Saheliand Gugulipid - ahypolipidaemic agent commercialised by Cipla Ltd.under the trade name ‘Guglip'. These two drugs even today continue to be the only new molecules introduced into the Indian market through discovery research performed in India. In the late nineties, based on CSIR systematic exploration of natural products derived molecules having therapeutic effects and herbal formulations with therapeutic properties, a host of patents have been secured by CSIR. These include Sallaki (BOSWELLIC ACID: for the treatment of inflammation and arthritis); Memory PlusMemory Sure (Bacosides); CIM-Arogya (high yielding variety of plant Artemisia annua) and its extract Artemisinin; Cytoblastin and Cytocristin ( Anti-Cancer agents from Vinca). With the amendment of Indian Patent Law in 2005 to comply with TRIPS/WTO obligations, CSIR laboratories began seeking patents in the advanced markets of the world. 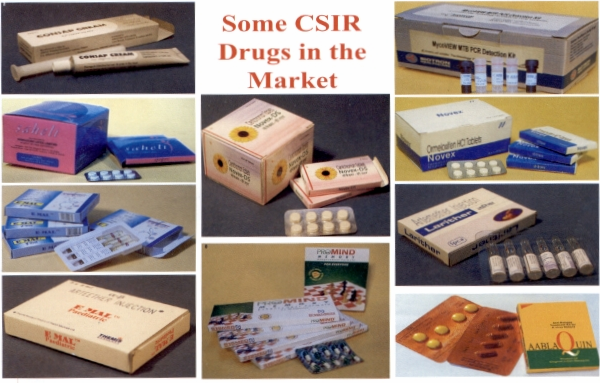 Eventually CSIR secured patents in the area of chiral Switches, and non-infringing process routes to API's that led to commercialization and export of single enantiomer drugs such as (S)-Amlodipine and (S)-Pantaprazole (Emcure) and Sevelamer (USV). In more recent years, CSIR has patented contemporary technologies for biopharmaceuticals based on fermentation processes, recombinant techniques and diagnostics tools for easy point of care as well as diagnosis of diseases. Best example is streptokinase, a clot specific enzyme which traced its development from a basic fermentation product to a recombinant version as well as analogs. CSIR has successfully secured a number of patents based on streptokinase technologies. The value of these findings are reflected in having National (Cadila Pharmaceuticals, Shasun Drugs & Chemicals Ltd.) and International (Nostrum Pharmaceuticals, USA) Licensees. Another example is DNA finger printing patents which have widespread applications in wildlife conservation, understanding population migration and diversity, origins of early Indian settlers, and its use in the legal system to provide evidence for crime and civil suits involving parentage. Modern diagnostics for eye and central nervous system, personalized medicine, computer based method for identifying peptides useful as drug targets and intracellular drug delivery systems are also landmark patents that CSIR has secured and strengthen the position of CSIR in the health sector in modern medicine. CSIR has also secured an extensive portfolio of patents related to the conversion of natural gas/ methane to syngas and methane to liquid hydrocarbons like gasoline, an area of great current industrial interest. CSIR patents in this area are highly cited in patent literature by competitor companies. In the field of Oil and Gas production, CSIR IP portfolio includes patents on 'Proppants used in the process of hydraulic fracturing' to the preparation of flow improvers / pour point depressants for crude oil transportation which were commercially produced under the trade name of SWAT. Downstream successes in petroleum refining include extraction of aromatics from reformed naphtha to sweetening of petroleum fractions by new generation metal phthalocynanines. One of the major end products of petrochemical industry is polymers, which play a pervasive role in our everyday life. 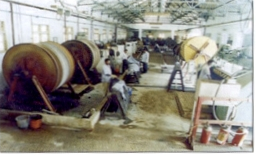 The early patents of CSIR in 50s and 60s were on preparation of phenolic resins from natural materials like bhilwan nut / cashew nut shell liquid for different kind of coatings. A number of CSIR laboratories namely NCL, IICT, CBRI and NIIST have developed a set of novel modified polymers which emerged as promising raw materials in diverse fields such as surface coatings, surfactants, insulating resins, and rubber processing aid, polyurethane and specialty resins. Not only CSIR has secured patent portfolio in these area but this also led to technology development by other institutions as well as by industry, leading to commercial exploitation of a natural resource with a significant economic benefits. Patent has also been secured for the first indigenous manufacture of ion exchange resins under the name of Tulsion by Tulsi Fine Chemicals which was later acquired by Thermax Limited and continue to be in production till date. Early import substitution successes on synthetic rubbers like Nitrile (CHEMPRENE) and SCPE (ENSAMAR) led to attention on new chemistry and processes for high performance polymers. Newer synthetic methods such as solid-state polymerization were used for the preparation of high molecular weight poly (arylester)s and poly aryl(carbonate)s and poly (arylestercarbonate)s. This work led to an impressive patent portfolio of about 30 patents, many of which are well cited. Most of these patents were assigned to GE Plastics, a world leader in this field of technology. These patents helped build the image of CSIR and resulted in further collaborative research work with GE Plastics in the nineties. A number of co-monomers used for specialty polymers such as THPE and ABTS not only led to a non-infringing IP portfolio but also commercialisation of these products that broke the monopoly of certain multinational companies and brought the prices down in the international market. Other worthwhile patents worth mentioning are conversion of PET to PBT and Vinyl Acetate Copolymers -inventions that are strategically positioned in competitive area. Other impressive polymer patents include cement polymer composite coating systems for corrosion protection of reinforcing and pre- stressing steels and solar selective coating having higher thermal stability for harnessing solar energy, which are successfully used in the field. CSIR acquired a comfortable patent portfolio in leather researches. Indian leather industry is amongst the top eight industries in terms of export revenue generation in India, holding 10% of the global raw material, and 2% of the global trade in volume. The leather industry occupies a place of prominence in the Indian economy in view of its massive potential for employment. Contributions of CSIR-CLRI can claim a rightful share in patenting these technologies. India ranks second worldwide in agricultural output. Agriculture and allied sectors like forestry, logging and fishing account for approximately 15% of the GDP, employ - 50% of the total workforce. Despite a steady decline of its share in the GDP, agro economy is still the largest economic sector and a significant piece of the overall socio-economic development of India. CSIR has secured many patents in this area. Over 25 agrochemicals and pest control agents were being patented and transferred to 20 industries. At present 70% of the Indian pesticide production was based on CSIR knowhow and patents. CSIR IP portfolio includes processes for pesticide intermediates like chlorophenols, optically active chrysanthemic acid and others. 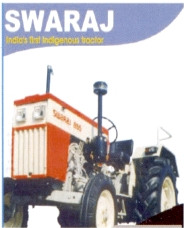 The development of 2HP Swaraj Tractor to herald the era of farm mechanization for farmers with small and medium land holdings is a significant lead to secure patents in farm mechanization. "Swaraj become an integrated component of the Green Revolution. Swaraj has contemporary design features such as sealed disc brakes, planetary hi-lo gear arrangement, and aesthetic sheet metal with zero tooling cost among other features. In the more recent times, CSIR has secured patents in other areas of Agro economy namely development of new plant varieties of mint, disease resistant varieties of rice and the development of microbes based bioinoculants. Packaged food, easy to make food, fortified food, ready to eat food, nutraceuticals and foods/beverages with long shelf life continue to be a vibrant sector of the Indian economy. Both large (domestic and multinational) as well as MSME sectors cater to this segment of the economy. CSIR has over the years, secured patents for many of these products that have given birth, nurtured and sustained a large number of industries in the micro, small, and medium scale sectors. 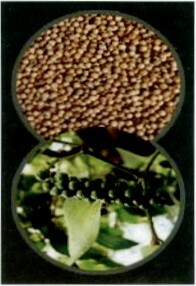 One of the important patents in food technology is the preparation of white pepper from black pepper. CSIR has secured patent for clean bio-processing of white pepper from fresh and dried black pepper which opens up great export potential. One of the highly cited CSIR patents relates to an improved logic device/memory unit which provides fast logic implementation based on the magnetic resonance of spin systems. Such a fast logic device can form the centrepiece of a novel Spin Computer or Hybrid Spin Computer. A set of CSIR inventions have provided a method and an apparatus for online identification of safe operation and advance detection of unsafe operation of a system. Also, the set of inventions include a process which is useful, advantageous and which can be applied in a systematic and rational manner using wavelet transforms for de-noising with online criteria related to safe process operation. The method can be used for separating complex composite signals made available in the form of digitized data and an apparatus which appropriately converts the monitored signals obtained, from medical diagnostic equipment, molecular spectroscopy, seismographic analysis, tomography, image cleaning, chemical reactors/reaction data etc. into its deterministic (true signal) and noisy components enabling inferences regarding safety in process operation to be made accurately and quickly. CSIR has successfully secured patents for the above mentioned technology. These patents have been licensed to a US based company. CSIR–NPL has patented an innovative system for transmission of digital time data corresponding to Indian Standard Time maintained by them. This unique time series may be accessed not only by a computer but also by an inexpensive system called TELECLOCK receiver. The new version of the receiver using mobile network has been recently launched for public use. It can find extensive use in moving vehicles like police patrolling vehicles, railways, cars etc. Encouraged by this inexpensive system, some developing countries like Saudi Arabia and Nepal have introduced similar service with the help of CSIR-NPL developed equipment. CSIR-CGCRI has patented a process for making rare earth doped optical fibers which have shown great potential for a number of applications including fiber lasers, amplifiers and sensors. The inventions provide a method of fabricating rare earth doped preforms and optical fibers by a combination of modified chemical vapour deposition (MCVD) process and solution doping technique as well as by using rare earth coated silica nanoparticles as precursors. CSIR-IHBT has patented a lightweight, portable, compact, low power consuming sterile laminar air flow cabinet that can be conveniently used in far flung remote areas for 'in situ' aseptic inoculation of biological samples such as plants and microbes for establishment of their cultures. These units can be used for desktop sterile air applications as well as for demonstration and teaching purposes and can lead to promotion of plant tissue culture as a cottage industry. Many of the CSIR laboratories have patented waste water treatment systems and working with industrial clients in their respective areas of domain to reduce pollution, recycle waste streams and reuse reactants / solvents to meet with ever increasing environmental control norms. Developed and Maintained by IPU-CSIR. © Copyright 2014 CSIR. All Rights Reserved.